Kyle Braye Electrical Ltd - Alarms/Security, Electrician based in Mitcham, Surrey. 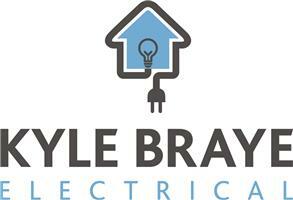 Kyle Braye Electrical has been trading as a Limited Company for over 2 years. I became an Electrical apprentice on leaving school and have worked extremely hard to become a fully qualified electrician. Free Quotations & and so much more.. I am happy to come to site and discuss your project so there is a clear understanding of your requirements in order for me to provide you with a quote. I am honest, reliable and hardworking and show pride in my work, ensuring each customer is satisfied and happy with the works carried out. Take a look at the pictures in my gallery which shows just some of the work I have carried out. Please also take the time to read through my reviews from some of my happy customers. If you have any questions at all, please do not hesitate to get in touch. I look forward to speaking with you soon!